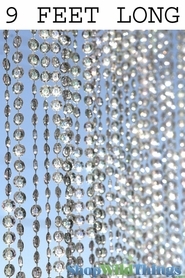 35" Wide x 70" Long: Our wonderful heavy-duty acrylic beaded curtains are a perfect addition to any room! Use in the place of regular doors, closet doors, or behind a bed to add height to any room! 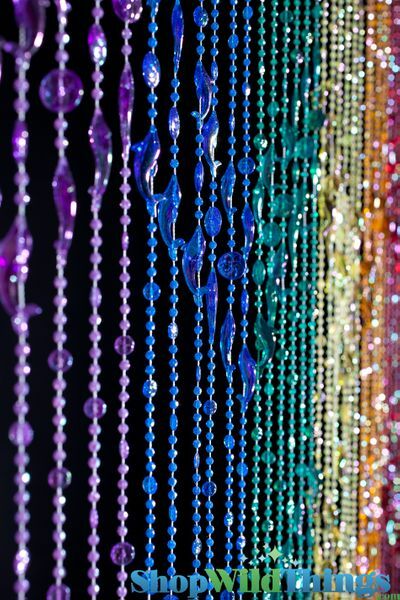 This curtain has an iridescent coating on top of it's see-through beads. Arrived on time. Just as described. Cut in half. Used top half for kitchen and bottom for bathroom.they look really cute. it was a bit tangled coming out of the box, but once we got it all set up, she loved it! Thank you to this company for quick personal communication when my item was returned due to problem with address. They corrected and re shipped. Had beads within 3 days. Great quality. Girlfriend loved them. Thank you! My 8 years daughter's dream! We got two to hang in front of her loft bed. Pretty colors and just a lot of fun! There are dolphins and shells. She couldn't be more thrilled! I also ordered the hooks for hanging but I wasn't careful to notice that there is a solid plastic top with two hanging hoops. 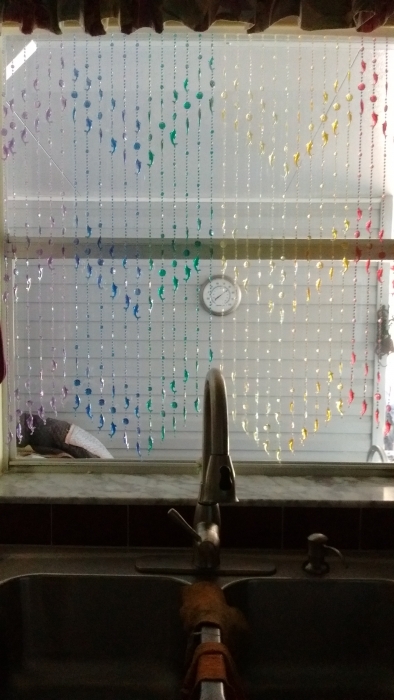 I oredered hooks for shower curtain style hanging. You only need two hooks per curtain. However, the hooks are easy to bend and I made them Work just fine over the top of the loft. Thank you for adding fun to my daughters room! We ordered this bead curtain for our 6 year old daughter and used expedited shipping so that it would arrive in time for her birthday. It arrived as promised, and she absolutely loved it. It was easy to hang in the doorway of her room, and we have had no issues with quality. 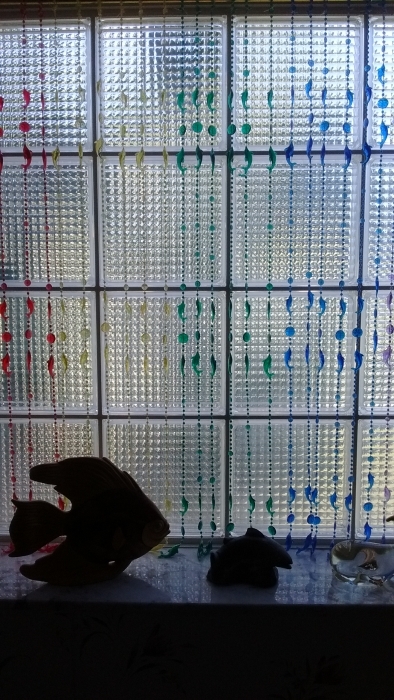 went to our local mall to try to find these beads to no avail. found this on shopwildthings. This curtain was just what I ordered and VERY easy to hang! Absolutely looks great. Very pleased with my purchase. ProsEasy to hang, very decorative.